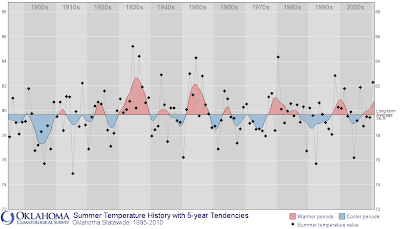 on record was the 87.2 degrees that occurred in 1936.
the warmest summer on record set by 1934's 85.2 degrees. In Christchurch some snow is falling off and on across the city with heavier falls well inland. Weather analyst Richard Green says there have been a few power outages too across Canterbury as a result of the snow. WeatherWatch.co.nz says the temperature right now in Christchurch is 2 degrees with a wind chill of minus 4. But, despite the snow flakes, conditions are generally improving. The intensity of the showers has significantly eased across more than 80% of New Zealand and while sleet and rain/snow showers are continuing to affect some coastal parts of Canterbury the centre of the storm is moving away. Head weather analyst Philip Duncan says the centre of the low is now 2500kms south east of Christchurch and moving eastwards away from New Zealand. He says a secondary low will form just east of the Chatham Islands tomorrow causing conditions to linger a little longer. "The main event has well and truly passed now but we're still being affected by the tail end, so more heavy snow down to a few hundred metres from Canterbury to Hawkes Bay and wintry, sleety, conditions to sea level". He says the secondary low won't add too much more to the weather here but will just keep "today's weather in place until Thursday". In Wellington the snow level has lifted but a gale force southerly continues to blast through. It's currently 7 degrees with a feels like temperature of zero in the wind. In Auckland a thin veil of high cloud and a fairly light southerly are the only signs that a winter storm was nearby. Similar weather is expected tomorrow across New Zealand with significant improvements spreading into more regions by Friday. By the weekend the large high partially responsible for the winter blast will move in and settle across New Zealand for the first half of next week. WeatherWatch.co.nz says by the end of next week temperatures will be back to average or even above average if a warm northerly air stream from the sub-tropics eventuates. This is currently being predicted by some long range models - we'll keep you posted! 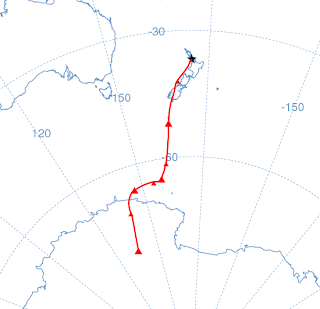 A very strong outbreak of Antarctic air, which began moving into New Zealand on Sunday, has produced unusually widespread snowfall which the official New Zealand MetService has called a once-in-50-year event. The influx of a deep layer of cold air flowing almost directly from the Antarctic continent over much warmer sea water allowed the development of heavy "ocean effect" snow showers. The weather map to the right shows a very strong 1034 mb high pressure area pumping cold air counter-clockwise from Antarctica to New Zealand. (New Zealand is located in the lower left of the map, with the high centered to the south. Antarctica is near the center of the lower part of the map.) 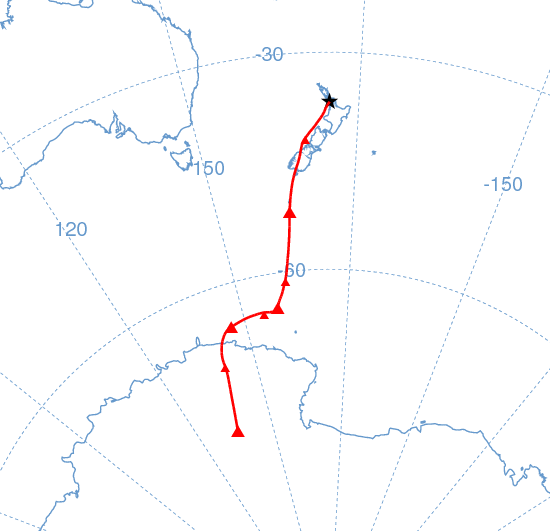 The red line on the lower map shows the trajectory of air arriving at Auckland on August 15. The 3 to 5 cm. 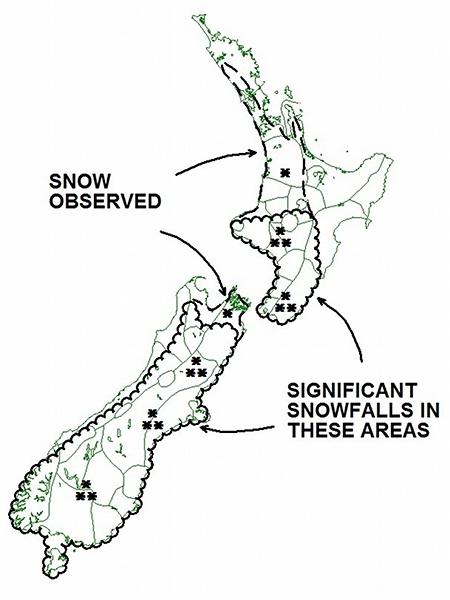 of snow which fell above an elevation of 100 meters for at least an hour late Sunday afternoon was characterized as the "heaviest and most widespread snowfall in Wellington City for at least 30 50 years." Wellington is located on the southern end of North Island. Although temperatures have been cold for this event, they have not been widely extreme. The 8.1°C high at Auckland Airport on Monday was an all-time record low maximum, but official climate data began there only in 1966. The 4.6°C at Christchurch Airport, by contrast, was exceeded in July 2007. At Waiouru, elevation about 2700 feet, the Monday low of -7.7°C was a new monthly record for August. [H]eavy snow is likely to set in again across Wellington tonight as the snow returns to the city this afternoon. The late afternoon surge, which WeatherWatch.co.nz predicted this morning, has seen the temperature plunge to 1 degree with a wind chill of -5. Head weather analyst Philip Duncan says the snow will spread across the lower North Island again but may not affect quite so many main centres to the north west of the city. "Snow is expected to be heavy around Wellington, Upper Hutt and Wairarapa tonight with a moderate risk of snow flakes returning to low levels of the lower North Island like Wanganui and Taranaki". 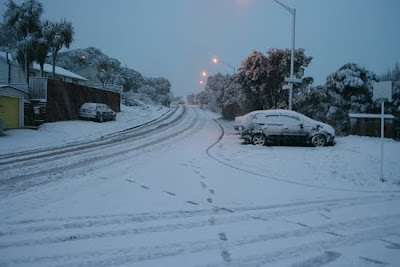 Mr Duncan says the heavy snow in Wellington is likely to come and go all night with snow easing tomorrow morning. 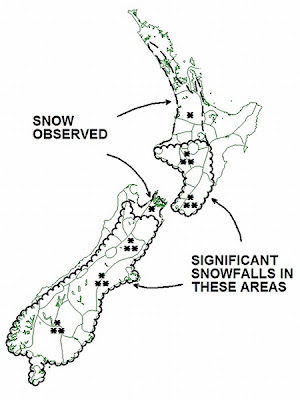 Snow will move into Hawkes Bay and Gisborne region too, to 100 or 200 metres. Meanwhile Christchurch and other coastal parts of Canterbury could see more snow tonight. Weather analyst Richard Green says snow showers may return to the city tonight, but should ease in the early hours of Wednesday. Snow isn't expected to be as heavy as it was yesterday with passing snow flurries. However he says the city is definitely 50/50 for snow. "The freezing level has lifted just enough so that Christchurch, Timaru and Ashburton are all on the borderline of snow. It's an extremely fine line between sleet, rain and snow for those centres tonight but we don't expect the falls to be long lasting and heavy as they were last night". Snow has already started to melt and turn to slush with rain showers and sleet today in the garden city. In Dunedin a few brief snow flurries are possible but conditions there should be easing further as we head into Wednesday. And Auckland's chance of seeing snow is quickly fading. A large shower this afternoon saw graupel and sleet in some areas while snow was confirmed on the tops of the Waitakere Ranges this morning in to around 300m from a passing snow shower. See the New Zealand Herald for a video gallery of the snow in Christchurch. It's So Hot . . .
DUE TO A TRANSMITTER COOLING PROBLEM THROUGH TUESDAY...AUGUST 16TH. 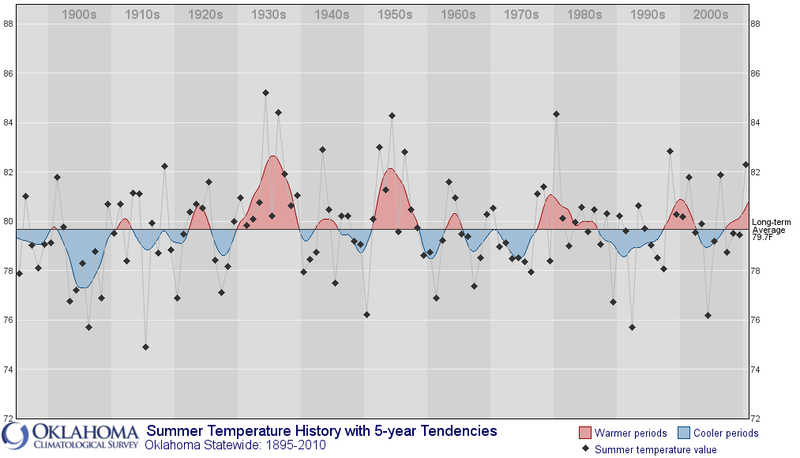 The combined global land and ocean average surface temperature for July 2011 was the seventh warmest on record, at 16.37°C (61.43°F), which is 0.57°C (1.03°F) above the 20th century average of 15.8°C (60.4°F). 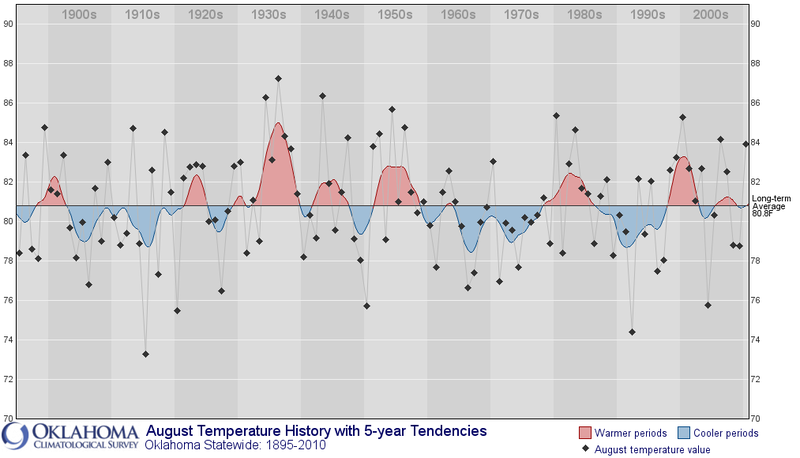 The July worldwide land surface temperature was 0.84°C (1.51°F) above the 20th century average of 14.3°C (57.8°F)—the fifth warmest July on record. The worldwide ocean surface temperature was 0.47°C (0.85°F) above the 20th century average of 16.4°C (61.5°F)—the 11th warmest July on record. For the year-to-date, the global combined land and ocean surface temperature of 14.31°C (57.82°F) was the 11th warmest January–July period on record. This value is 0.51°C (0.92°F) above the 20th century average. Large portions of each inhabited continent, particularly in the Northern Hemisphere, were substantially warmer than average during July 2011. The continental areas with the most anomalous warmth included Northern Europe, western and eastern Russia, and most of North America. Cooler-than-average conditions were present across central Russia, Western Europe, the northwestern United States, and southwestern Canada. . . The worldwide ocean surface temperature represented the 11th warmest July on record. The warmth was most pronounced across Baffin Bay and the Labrador Sea in the Northern Hemisphere high latitudes and in the north central and northwestern Pacific Ocean. Cooler-than-average SSTs were present across much of the Eastern Pacific and the high latitude southern oceans. 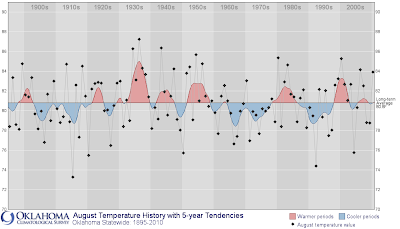 Neither El Niño nor La Niña conditions were present during July 2011. According to NOAA's Climate Prediction Center (CPC), ENSO-neutral conditions are expected to continue into the Northern Hemisphere fall 2011, with an equally likely chance of ENSO-neutral or La Niña conditions thereafter. Note: Posting and updating delayed by Comcast's second third multi-hour outage in 6 9 days. August 20 Update: Central Park monthly rainfall updated to 2nd wettest August. August 15, 5:30 PM Update: Moderate to heavy showers have added almost half an inch to the Central Park total so far this hour, pushing the monthly total to the 4th wettest August. The 9.03" so far this month is already the 8th highest for August, just behind the 9.08" in 1942, and the month is only half over. The August record is 12.36" in 1990. Persistent heavy showers and thunderstorms have drenched the New York/New Jersey/Connecticut tri-state area with record rainfall amounts today. Numerous daily records have been set, and JFK Airport, with a 62-year climate history, has set an all-time daily record with 7.60" as of 5 pm. The old record was 6.27" on June 30, 1984, and the August 14 record was only 0.96" in 2008. BRIDGEPORT CT. THIS BREAKS THE OLD RECORD OF 1.79 INCHES SET IN 1999. ISLIP NY. THIS BREAKS THE OLD RECORD OF 1.04 INCHES SET IN 1994. NEWARK NJ. THIS BREAKS THE OLD RECORD OF 1.11 INCHES SET IN 1999. 14, 2011. THIS BREAKS THE OLD RECORD OF 3.4 INCHES SET IN 1999.